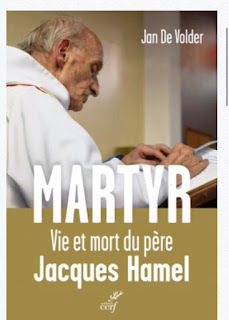 It has just been published in France, thanks to Éditions du Cerf, the first biography dedicated to fr. Jacques Hamel, the octogenarian priest of the diocese of Rouen, who was killed last July on the altar by two Islamists, and recently recalled by Pope Francis: "He is a martyr". The author is Jan de Volder, of Antwerp Sant'Egidio Community.